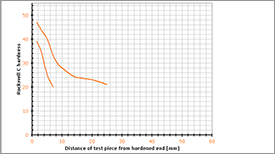 One area where titanium alloys struggle is their ability to withstand abrasive and erosive wear and nitriding can provide an effective way to combat this through surface hardening techniques. Lightweight alloys are widely used in aerospace, race car and medical applications. 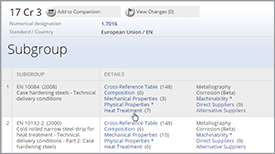 Titanium and titanium alloys are currently finding increasingly widespread use in many industries for the production of a variety of components and workpieces due to their desirable and versatile combination of good mechanical and chemical properties (heat resistance, high specific strength, high corrosion resistance, etc.). Titanium alloys are widely used in aerospace industry due to their low density and high toughness to mass ratios. However, the wear resistance of the titanium alloys is poor and requires surface treatment for the effective usage. One of the methods to improve the surface properties is to nitride the surface forming the nitride rich compounds in the surface region. Titanium nitrides provide the hard surfaces and improve the tribological properties of the surface. However, application of titanium alloys is limited by their low resistance to abrasive and erosive wear, low hardness, low wear resistance. 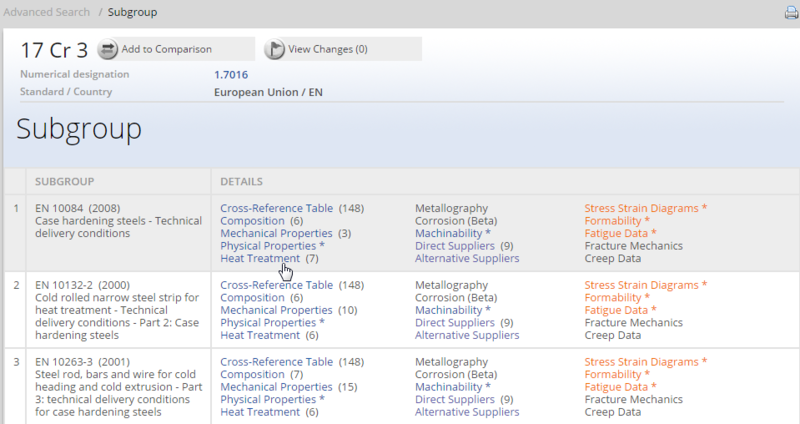 Therefore, it is important to develop new methods of titanium alloys surface hardening to improve the hardness and tribological properties of their surface. Nowadays, an effective method for titanium alloys surface modification has been developed by nitriding. Nitriding is a thermo-chemical heat treatment process introducing nitrogen into the outermost surface of parts and components. The process time is diffusion controlled. 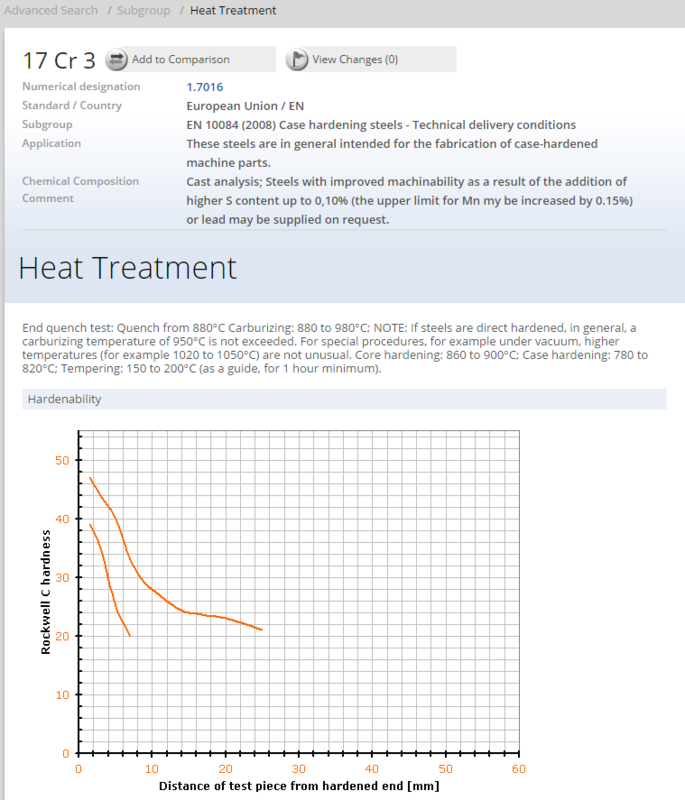 Due to this reason a compromise of nitriding temperature has to be found. 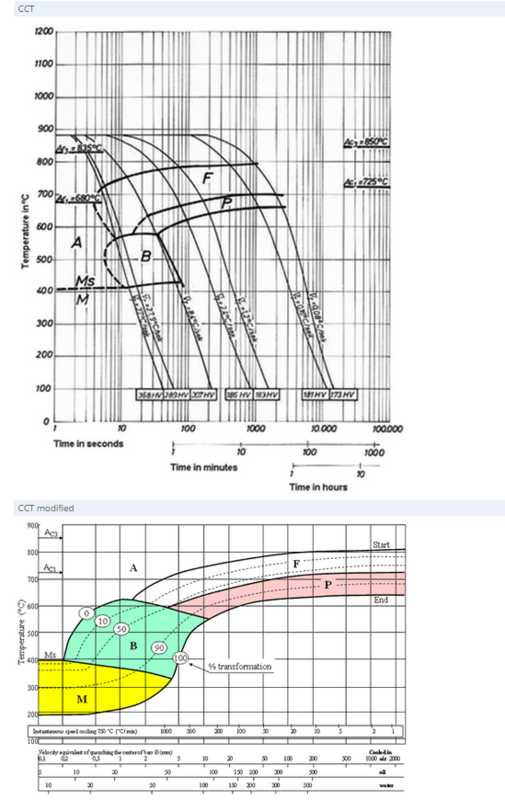 To realise short cycle times the highest treatment temperature is of interest. High temperatures lower the hot strength of the material and results in distortions. 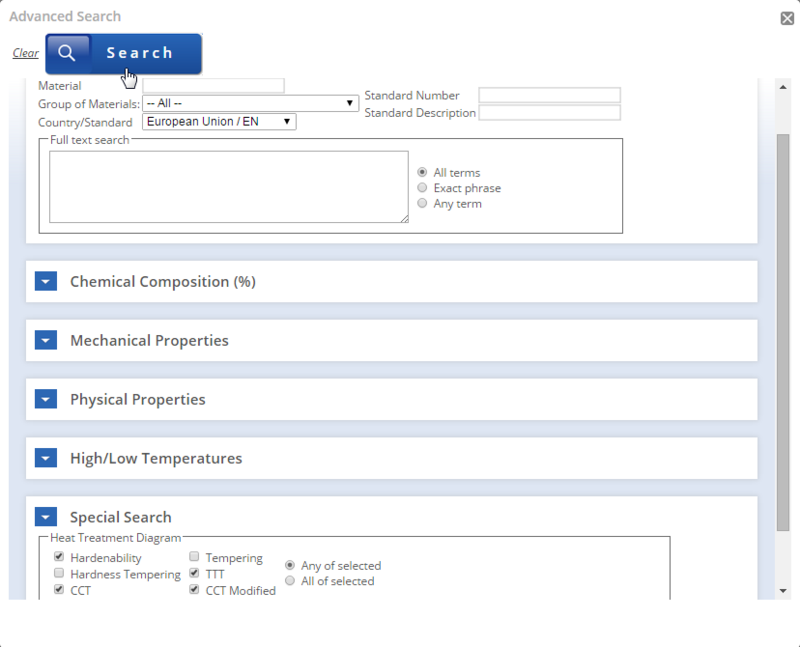 Therefore, high temperatures are only recommended for parts and components with a simple geometry. 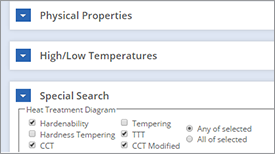 In any case a direct temperature measurement on a real component or part is required. 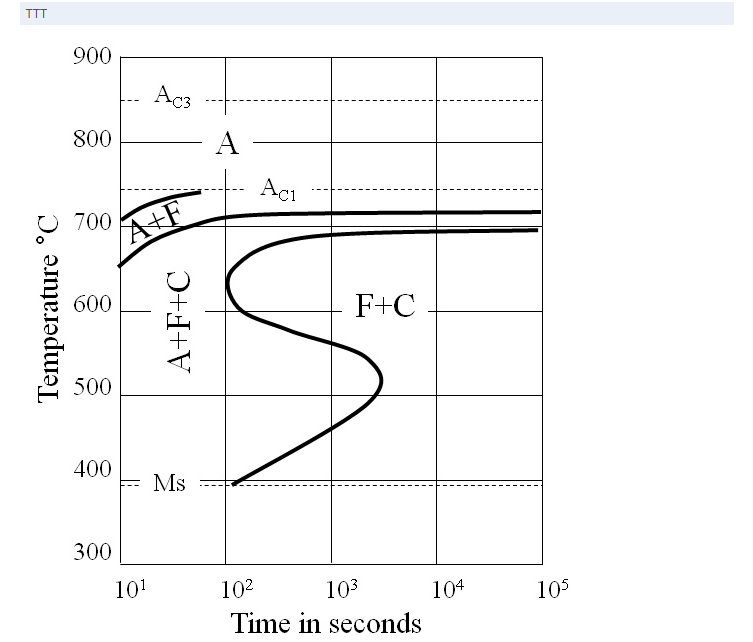 Figure 1 shows the time and temperature dependence on the layer of TiN. 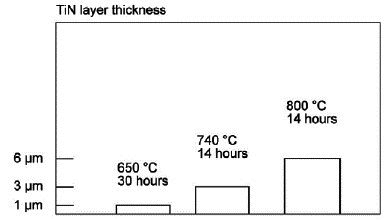 Typical layer thicknesses for the most applications are in the range of 1 – 3 μm. 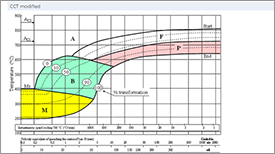 Such layers generated by a diffusion process are showing surface hardnesses of 900 – 1100 HV0,05. 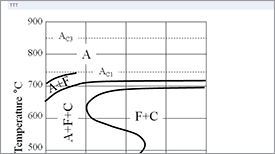 Figure 2 is showing a nitrided structure, etched in 2% HF. Researchers have proposed different approaches and different ways to eliminate cracks in the nitrided surface layers produced on pure titanium or its alloys. For example Mridha S. and Baker T.N. have studied a wide range of laser gas nitriding of pure titanium as well as titanium alloy Ti6Al4V using a 5 kW gas CO2 laser. They found that in a case of pure titanium surface cracking can be totally eliminated either by nitriding in dilute nitrogen atmosphere or by controlling the laser parameters and gas flow rate in a pure nitrogen environment. 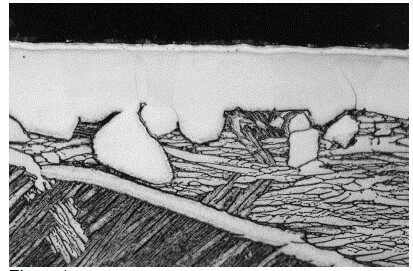 While in the case of titanium alloy Ti6Al4V, cracking in 100 % N environments depends on the TiN dendrite population in the surface layers. They suggest that by regulating the gas flow rate and heat input, the dendrite population could be controlled to eliminate cracking, but at the expense of hardness. In turn, Hu C. and Baker T.N. investigated laser nitriding of Ti6Al4V to improve the surface properties, using a 5 kW gas CO2 laser. They indicate that the tendency to cracking is related to the volume fraction of titanium nitrides formed in the melt, and that preheating the material could avoid cracking. 5. A. Lisiecki: Comparison of titanium metal matrix composite layers produced during laser gas nitriding of Ti6Al4V alloy by different types of lasers, Arch. Metall. Mater., Vol. 61, 2016, No 4, p. 1777–1784.